Category 5 Typhoon Haiyan (local name Yolanda) hit an impact area now known as “Yolanda Corridor” covering 6 regions , 14 province and 171 cities and municipalities in November 2013. A total of 14M people are affected, 3.98M people are displaced and 1.13M houses are damaged, the biggest devastation to hit the Philippines. cities and municipalities in Northern Panay namely: Passi, Bingawan, San Enrique implemented by Chameleon; Ajuy implemented by Coup de Pouche a Barrido; Estancia, Carles and Concepcion implemented by Iloilo Code; Sigma implemented by Sigmahanon Development Foundation Inc.; , Altavas implemented by Enfants du Mekong; Roxas implemented by Iloilo People’s Habitat Foundation Inc.; and one (1) municipality in Eastern Samar namely: Lawaan implemented by PHILDRRA. The project targets to benefit about 600 households with core shelter and three (3) rural health units with solar panels for emergency lighting, solar fan and refrigeration system. The project started in April 2014 and is programmed to end in October 2015. 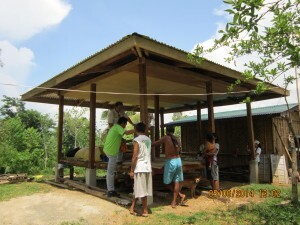 The shelter solution is planned to be a sustainable shelter that though it may not fully resist the next hazard/typhoon, it will sustain damages that are easy to repair and will make the house livable soon after the typhoon. Economic projects include livelihood for fishermen, patrol boat construction or repair, and reconstruction of a food processing plant. TAO-Pilipinas, Inc. is contracted by Fondation de France to undertake periodic monitoring of construction and provide technical advice to partners. The task of TAO-Pilipinas is to conduct site visits in three stages: at the start of the project, middle of project implementation and at the end of construction. Technical assistance from TAO-Pilipinas includes advice on disaster resilient construction considerations, checking of design and structural/construction system as well as budget. 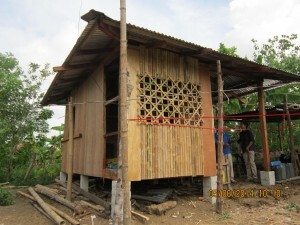 TAO-Pilipinas is also engaged to design a typical unit for Enfants du Mekong shelter project in Altavas. The project is in the middle of implementation with most partners in Panay in their last stages of implementation and a few are just starting. The project presents various models of shelter solutions all of which are implemented through self-help approach with supervision by a local project foreman and/or engineer. 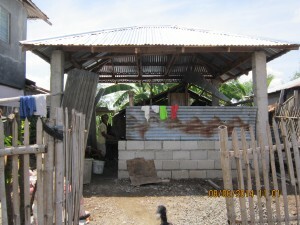 In all of the projects, FdF implemented their guidelines which served as the basis for the shelter design. The guidelines can be found here. 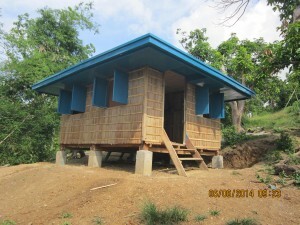 This entry was posted in Human Settlement and Environment, Recent Stories and tagged FdF, Haiyan, Panay Island, project monitoring, reconstruction. Bookmark the permalink.